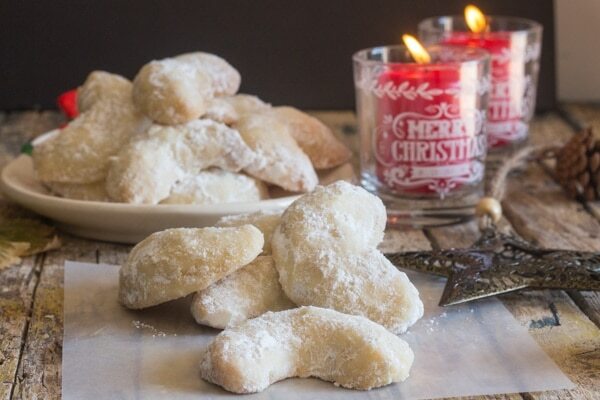 Are you making Christmas Cookies ahead of time this year? 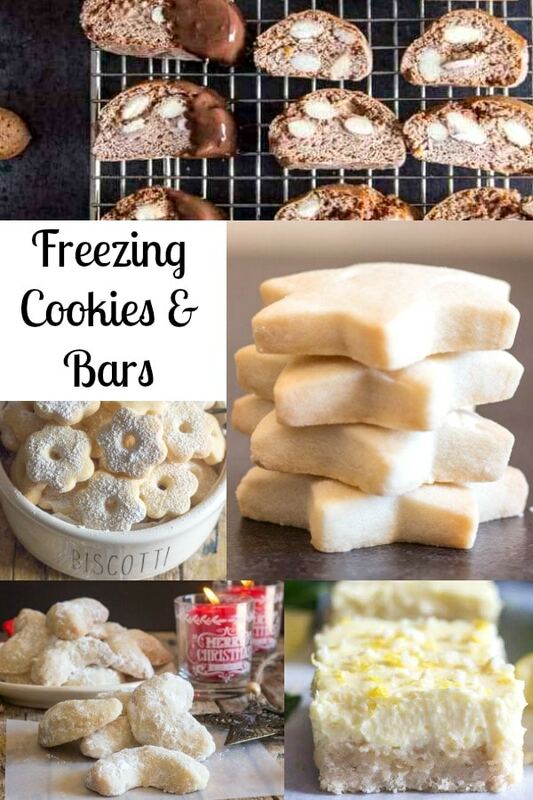 Learn the best way for Storing & Freezing Cookies and Bars. I can remember my Mom about a month before Christmas baking the most delicious cookies, and then placing them in her fancy cookie tins and off they would go to the freezer. Naturally she would let me taste one or two before they headed for the freezer. But I always remember when the holidays rolled around those amazing Cookies and Bars tasted just fabulous as the day she made them! What are the best Cookies to Freeze? For example chocolate chip cookies, peanut butter or even oatmeal cookies. And to tell the truth I never met a Bar Cookie that I couldn’t freeze. You can either freeze the baked cookie or freeze the dough. 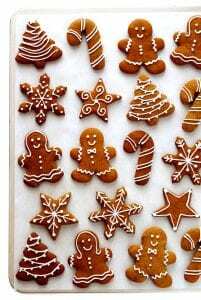 Although cookies that need frosting or powdered sugar should be decorated once they are thawed. Cookies with a lot of butter are the best freezing cookies. 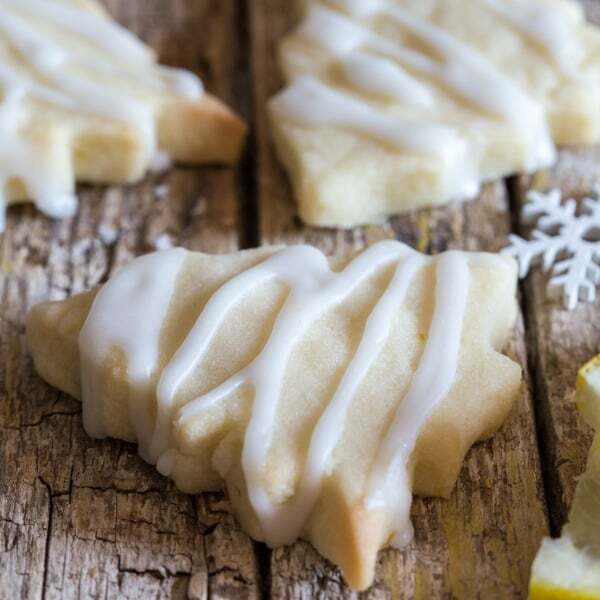 For Shortbread, Gingerbread and Sugar Cookies wrap the dough tightly in either plastic wrap or parchment paper and place in an airtight bag. (make sure there is no air in the bag) and freeze. When it is time to bake the dough let it thaw until you are able to cut with cookie cutters. 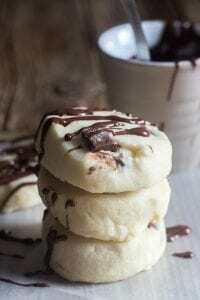 Drop cookies can be baked immediately without thawing but they may need a couple of minutes extra to bake. 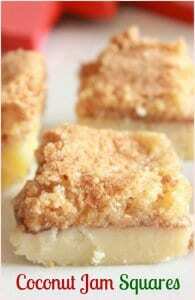 Freezing Baked Cookies and Cookie Bars. Place cooled baked cookies separately, meaning do not mix different types of cookies especially cookies with bars. You don’t want the flavours to mingle with each other and you don’t want soggy cookies if you mix them with bars! To make it easier on yourself label your containers or bags with the name and date of the cookie. Place parchment paper in between the layers of cooled cookies or bars to prevent them from sticking when in the containers for freezing. 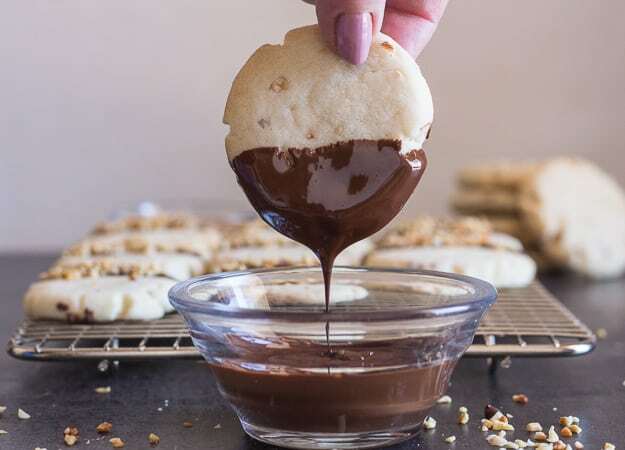 You can also place the baked cooled cookies on a cookie sheet and freeze them, then move the frozen cookies or bars to either airtight bags or containers. 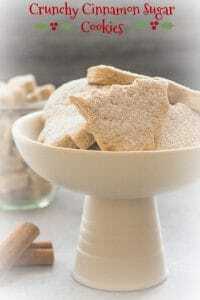 Remove cookies from their containers or bags and thaw at room temperature before serving or decorating. 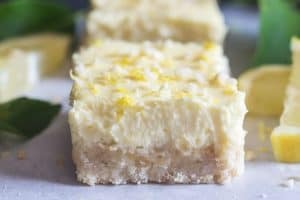 Some bars can take 6-8 hours to thaw. So it’s best to plan ahead. Although members of my family (not mentioning names) 🙂 have been known to sneak and eat the odd frozen cookie or two. 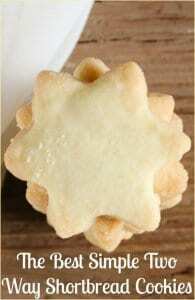 It is best not to freeze cookies that have a runny batter, meaning thin delicate cookies, such as Pizzelles or Florentines. Or really cakey cookies such as Madeleine. Other than that you are good to go. 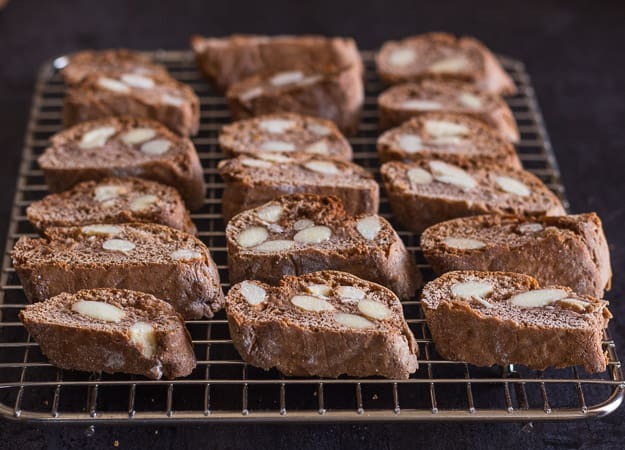 Oh and don’t forget Biscotti they hold up very well in the freezer! Happy Baking. Baked Cookies last 3 months in the freezer. Cookie Dough lasts 6-12 months. 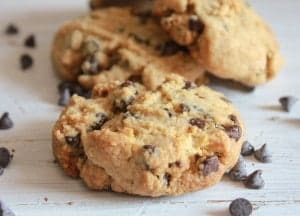 If you don’t plan on freezing your cookies than make sure that you let the cookies cool completely before storing them. Be sure to store them in an airtight container, place parchment paper between the layers of cookies, a piece of white bread in the container will help to keep the cookies fresh. And be sure to keep the container at room temperature. And enjoy your cookies!